Dentists often recommend Invisalign treatment for teens as well as adults. It’s an effective, convenient way to straighten your teen’s teeth, and give him or her a smile to be proud of. Since the aligners are clear and practically invisible, your teen can continue to socialize with confidence during the time in his or her life that is typically characterized by self-consciousness. Visit the dentist’s office to learn more about Invisalign for teens, and watch the accompanying video. You’ll hear how Invisalign lets your teen brush and floss normally, without having to work around metal brackets and wires—another reason why dentists recommend Invisalign. You’ll also see teens playing sports. There’s no need to worry about metal braces poking the soft tissues of the mouth during sports activities. If a mouth guard needs to be worn, your teen can easily pop the aligners out before getting on the playing field. Invisalign treatment is one of the many convenient services we offer here at Park 56 Dental. Call (646) 783-3529 to schedule an Invisalign consult in NYC for your teenager. 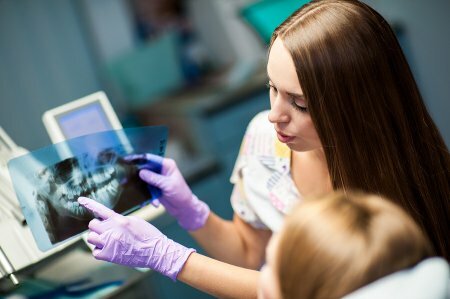 Periodontal disease, often called gum disease, is one of the most common problems dentists diagnose and treat. Many patients have periodontal disease without realizing it, as the symptoms aren’t always obvious. Fortunately, gum disease is preventable. Visiting your dentist every 6 months, brushing twice daily, and flossing at least once daily are among the most effective ways to protect your oral health. 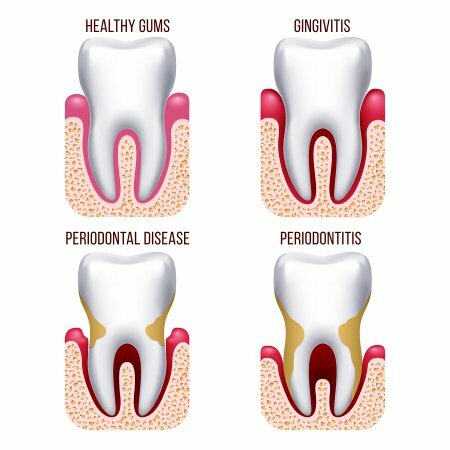 Periodontal disease progresses through 3 stages: Gingivitis, periodontitis, and advanced periodontitis. As the earliest stage of periodontal disease, gingivitis is the least noticeable by the patient. It occurs when the accumulation of plaque and tartar at the gum line cause the gum tissue to become inflamed and irritated. The bacteria within plaque feed on sugar, and give off toxic byproducts that damage the gums. If patients do notice symptoms of gingivitis, they are typically bad breath and bleeding while brushing or flossing. Routine dental check-ups allow dentists to detect gingivitis, and at this early stage, it’s easily reversible with a thorough, professional cleaning and improvements to at-home oral care routines. Although gingivitis is the mildest form of periodontal disease, it should never be ignored. When left untreated, gum disease progresses to the next stage—periodontitis. Normally, gum tissue adheres snugly to the teeth. As periodontitis develops, the tissue begins to pull away from the teeth, forming increasingly deep pockets. The pockets between the gums and the teeth make the infection worse by harboring food debris and plaque. Additionally, the recession of the gum line can cause tooth sensitivity. The gums start to look puffy, swollen, and dark red, and patients will likely notice persistent bad breath. Periodontitis is typically treated with scaling and root planing—a deep cleaning method. 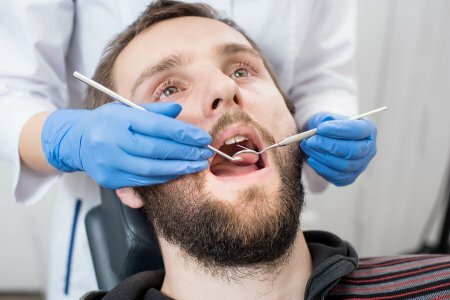 The most severe stage of gum disease is characterized by the gradual destruction of the connective tissues and underlying bone that holds the teeth in place. As a result, the teeth become loose. Patients may notice their upper and lower jaws no longer fit together properly. Eventually, tooth loss will occur, and patients will need oral surgery. Park 56 Dental is well-known for performing artistic smile restorations in NYC, but our dental clinic also offers a full range of general dentistry services, including treatment for periodontal disease. You can count on our friendly team to help you keep your smile beautiful and healthy. Give us a call today at (646) 783-3529. Gone are the days of unattractive and uncomfortable metal braces. Invisalign technology is the latest and greatest way to straighten your teeth and achieve a great smile. Check out the following infographic about how to improve your smile with Invisalign, courtesy of Park 56. Visit us today to get started.